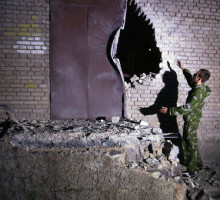 The updated number of civilians injured by the Kiev junta’s punitive forces shelling of Petrovsky district of Donetsk during the night totals 10. The mayor’s office has earlier informed that three people were injured in this district. Two people have died in the shelling. Central-City, Kalininsky and Nikitovsky districts of Gorlovka were heavily shelled by artillery on the night between August 16 and August 17. Two civilians were killed by the shelling, four were injured, according to the healthcare department. 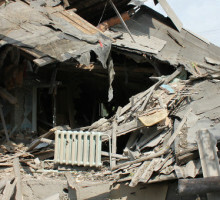 Nine streets of Gorlovka were hit by the shells, according to the city administration. 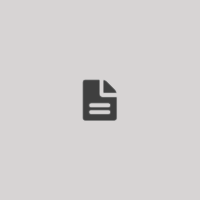 The information regarding destruction is being specified. Kuybyshevsky, Petrovsky and Kirovsky district were massively shelled by the Ukrainian army on the night of August 16-August 17. Two people are dead, three injured, according to the information at hand. Information regarding other possible victims and destruction is being specified. 48, Dmitriya Kazaka st., 46, Alekseya Tolstogo st., 166, Olimpiyeva st., 62, Korniyenko st. got hit. 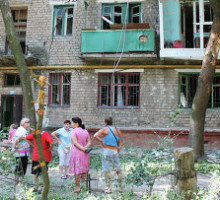 Windows on 6a, Vannikova st. and 50, Dmitriya Kazaka st.
Carpentry workshop of school №66 was directly hit by a shell, which caused a fire, according to the head of district administration. 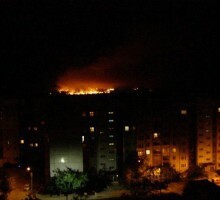 Donetsk outskirts and center of the city are being heavily shelled right now. Explosions are heard all over the city. Kiev junta’s militants are shelling western part of Gorlovka by tanks, according to the city administration. We have a new shelling, they just can’t keep calm. 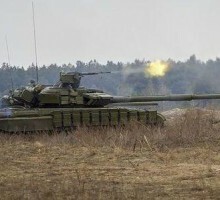 They shell with tanks, shells hit the western part of the town, approximately in Shirokaya Balka district, shell from the side of Dzerzhinsk (controlled by Kiev junta – ed.). 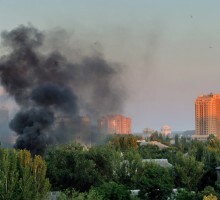 The shelling might intensify during the night, according to the local authorities, since the “Ukrainian army always starts with tanks, then the artillery comes in.” The city administration did not receive information regarding victims of the shelling. 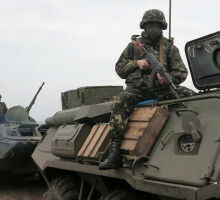 As of August 16 the commanders of the Ukrainian army have gathered three strike groups by the contact line for the offensive, according to DPR Deputy Defense Minister Eduard Basurin. The group of enemy’s forces in “C” sector consists of up to 22 battalions. It includes up to 130 tanks, up to 950 units of fighting armored vehicles, up to 290 field artillery guns and mortars, up to 35 units of multiple rocket launch systems. According to him, the group of enemy’s forces in “B” sector” consists of up to 26 battalions. Donetsk has offered OSCE three steps that would help reduce the tension in the region in light of the increase in the number of cases of shelling by the Kiev junta, according to the head of DPR delegation in the Contact Group on peaceful settlement in Donbass Denis Pushilin. The punitive forces have once again shelled Lugansk People’s Republic territory, according to People’s Militia. The area around Slavynoserbsk village was shelled for the second time today by a 82 mm caliber mortar. 16 mortar shells were fired at the residential districts at 16:30. 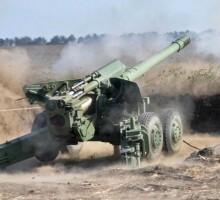 The Ukrainian military has also shelled Oboznoye township by a 82 mm caliber mortar. The People’s Militia Staff insists that this is the way the punitive forces are provoking LPR army to return fire. On the night between August 16 and August 17 the junta’s military commanders plan to launch a full-scale offensive against the positions of DPR and LPR military, according to an informed source in Kiev, reports REGNUM News Agency.